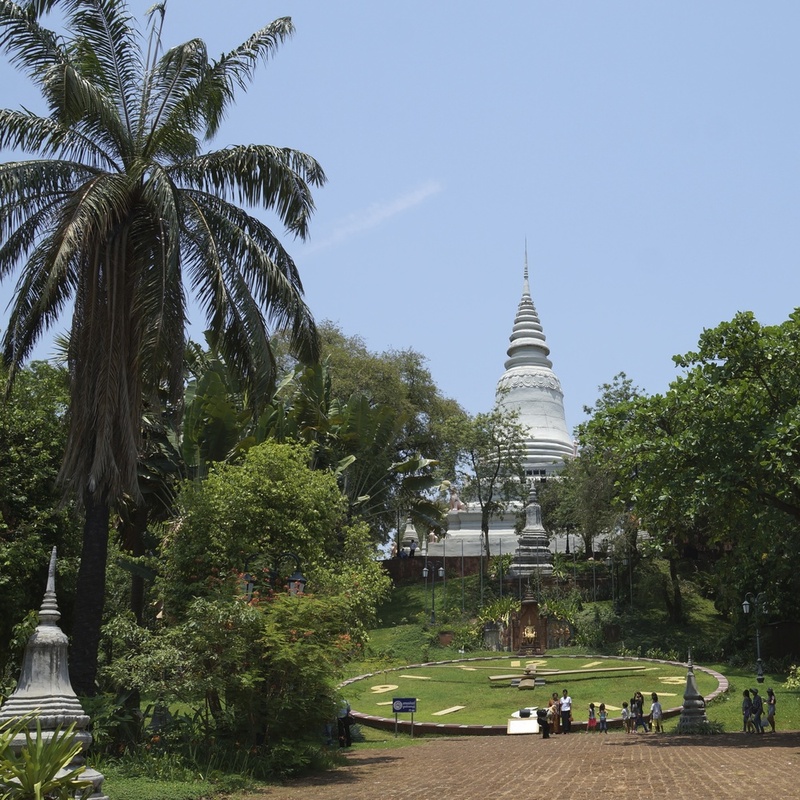 We spent our last day in Phnom Penh wandering around the city. It’s too hot to do much of anything between 11 and 2, so we headed back to find shade on the rooftop of our guesthouse. It’s fun watching daily life from the rooftop – I saw monks hanging their orange garmets out to dry, I wondered how there aren’t more car crashes with the crazy traffic (video below), and watched street vendors push their carts along selling the most random items. We took a river cruise at sunset, and headed to the night market after. Finally, we had one last 50 cent beer with Leah before she jumped in a tuk-tuk to head back to Minnesota. Vincent and I ended up staying another extra day in Phnom Penh since we didn’t know there was only one bus that left for Kratie (our next stop) early in the morning. 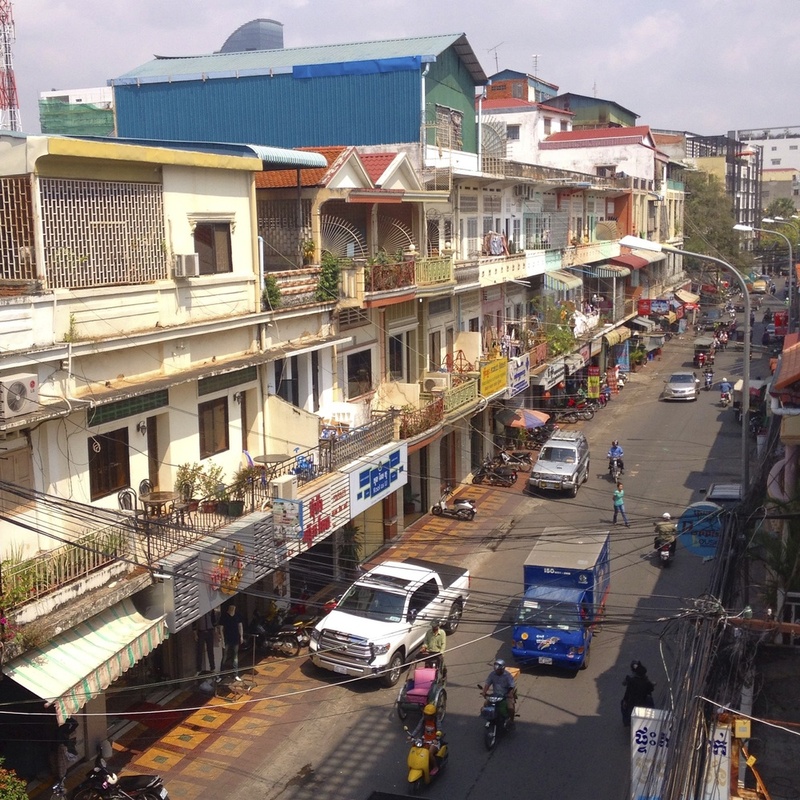 So instead of getting on the road right away, we had a “down day” and caught up on laundry, went to a used book store and traded the books we’d finished for new ones, and headed to bed early, had an early breakfast the next day and hopped on yet another bus to visit Kratie!